A refugee is someone who has been forced to flee his or her country because of a well-founded fear of persecution for reasons of race, religion, nationality, political opinion or membership in a particular social group. Where can I learn more about refugee resettlement? The U.S. Bureau of Population, Refugees and Migration looks to shape and sustain a peaceful, prosperous, just, and democratic world and foster conditions for stability and progress for the benefit of the American people and people everywhere. 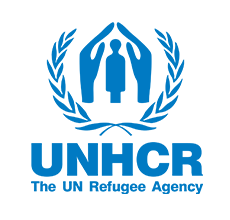 The leading agency in the world for helping refugees and getting them relocated to a safe environment. There are lots opportunities to meet and support refugees! Especially in Omaha, a city that receives hundreds of refugees each year. Please click the Volunteer Guide link for the best ways to get started. World Refugee Day (WRD) is the largest refugee event in Omaha each year. Globally WRD is celebrated June 20th. Locally, Omaha celebrates on the closest Saturday to June 20th. This event is a chance to learn about refugees in Omaha and hear their amazing stories at Joslyn Art Museum (sponsored by the Omaha Refugee Task Force). Volunteer your time and/or resources to help Omaha refugee families facing particular hardships find comfort and solace in their new homes. Wonderful one-day volunteer opportunity – but you’ll want to come back again! This festival includes workshops, performances, art displays, fashion, artist vendors, food vendors, music, interaction, and more. Mentors from the local art scene are always appreciated. 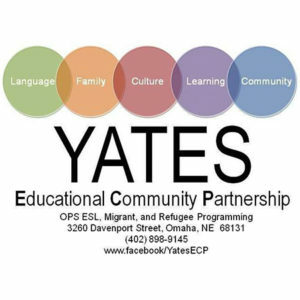 Yates Educational Community Partnership (ECP) is a program of Omaha Public Schools (OPS) for refugees and immigrant parents to better understand and navigate American culture. Programs include ESL, Sewing, Cultural Orientation, and Citizenship classes. Community garden, interpreters, social worker, and donation center on site. Guest speakers from area organizations weekly. Yates is always looking for volunteers to help with these programs and support our new Omaha friends. They follow the OPS elementary school calendar. Resettling and empowering refugees to become self-sufficient through direct services and educational programs. Service provider for refugees in Nebraska that builds and strengthens family, individual, and community life. A project of the University of Nebraska Lincoln’s College of Journalism and Mass Communications that seeks to give voice to Nebraska’s growing refugee communities. A collaboration of individuals, organizations, and houses of faith in the Benson neighborhood founded to make a difference in the lives of refugee neighbors. Yates, Refugee Empowerment Center, and the Intercultural Senior Center all have community gardens that welcome volunteers. A network of public and private organizations and community members dedicated to supporting New Americans in the Lincoln, Nebraska community. Somali and East African food. Dining in Ethiopia is characterized by the ritual of breaking “injera” and sharing food from a common plate, signifying the bonds of loyalty and friendship. The traditional way of eating is with one’s fingers. Injera is placed on the plate with a variety of “wots”, or stews, decoratively arranged on top of the injera. A small portion of injera is torn off and wrapped around a mouthful of the selected wot.